The Swiss family business Trunz Water Systems has converted the vision of self-sufficient, compact and highly automated water treatment and desalination systems into practice. 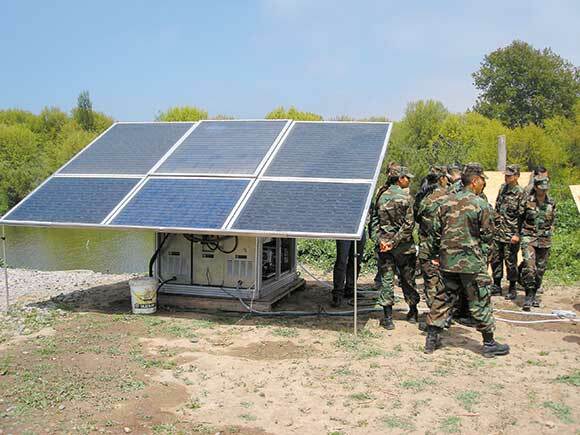 Powered by renewable energy the sustainable systems can virtually operate anywhere in the world. 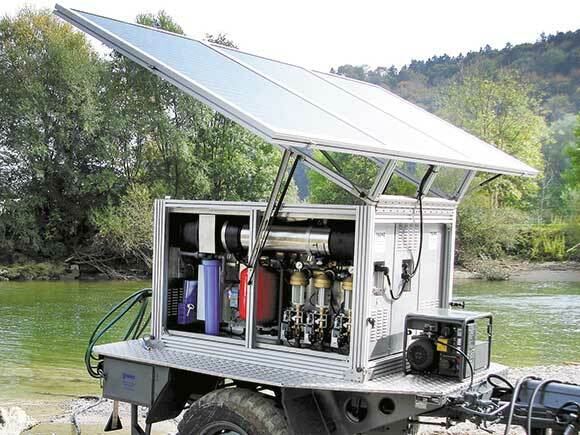 From small mobile devices to large containerised systems - Trunz provides customized solutions for independent water supply in remote areas/islands, emergency & disaster response, defence missions, touristic resorts, remote clinics and schools, industry and other applications. All of the systems are exceptionally energy efficient, independent, compact and environmentally friendly. Low maintenance requirements and high automation are our benefit for challenging applications. With more than 10 years of experience and 1000 units installed worldwide, clients benefit from extensive experience and exceptional service support. Trunz Water Systems is worldwide represented by well established local companies. For more information about our solutions, specific applications or after-sales service inquiries feel free to contact our distribution partners.